make it easy to stay in touch across all offices and time zones. Enterprise Hosted VoIP is a cloud-based phone system that removes the need for on-site equipment. The provider maintains and updates the necessary hardware and software offsite, giving your business automatic access to new features and updates as they become available. One system can easily handle new hires and office locations, so as your business scales, it scales with you. Plus, built-in remote access to communications and automatic failover to off-site numbers means you maintain functionality and never miss business calls even when your office is inaccessible. Easily communicate between different business locations and employees on the go with Jive’s feature-rich, HD-quality business VoIP. Enjoy convenience and flexibility through business apps, softphones, unlimited conference bridges, virtual fax, texting/SMS, and visual conferencing. Jive Cloud is the only true multi-tenant platform among UCaaS providers. Operating with an SLA of 99.999% uptime, Jive Cloud is hosted by 11 top-tier datacenters around the world to provide redundancy, call failover, scalability, and high availability. Recently awarded the Frost & Sullivan 2017 Customer Service Leadership Award, Jive disrupts the UCaaS industry with our “rock star” customer support. With an NPS score of 68 (other UCaaS competitors score between 16-30), Jive’s NPS score rivals SaaS leaders like Facebook and Amazon. Jive’s easy-to-manage voice solution reduces your overhead, simplifies system management, and frees up your IT department to focus on other priorities. Manage multiple locations with mobile, desktop, and web apps, in-depth call analytics, powerful admin portal controls, and more. Jive Contact Center provides a broad set of affordable contact-center features and advanced real-time reports, including live status wallboards, and agent summary reports. Jive SD-WAN offers enterprise-grade features, quality of service, and security, even under adverse network conditions. Set up and scale in hours, prioritize critical-application bandwidth, improve network quality and performance, and easily manage your graphical user interface (GUI), all without paying for premium MPLS connectivity. Jive Business Continuity is a server-based application that relies on automatic system failover and fallback to preserve your most essential phone functions during an internet outage. Even with no internet, it resolves your issues without having to call in, and you can still coordinate with staff and reach emergency services with prioritized outbound calls. Encrypted, secure calling is available between Jive and security-enabled endpoints. We also bolster our encrypted security with Jive SD-WAN. Jive serves hundreds of thousands of users on a single consolidated system and has unlimited capacity for growth. Based on open standards and commodity hardware, Jive provides API access and integrates seamlessly with leading CRM, ERP, and other third-party software. Operating at a documented 99.999% uptime, Jive Cloud is hosted by 11 top-tier datacenters around the world to provide redundancy, call failover, and high availability. Jive TCO. To fully comprehend the value of making the move to the cloud when it comes to telecommunications, the TCO analysis is a critical tool. Enterprise VoIP (voice over Internet Protocol) offers large companies and institutions a telecommunications solution adapted to the communications needs of a large global workforce. VoIP uses connections to the internet to make calls, exchange faxes, and send texts, which were traditionally sent using the Public Switched Telephone Network (PSTN). Enterprise VoIP providers offer customizable telecommunication systems designed for large businesses with many of the same features a traditional private branched exchange (PBX) system offers. Multimedia functions such as phone and video conferencing, business SMS, screen sharing, and more are all included. With its low cost, scalability, E911 function, and provider security, enterprise VoIP solutions offload the inherent risks of tech investment while delivering an agile and reliable alternative to traditional PBX systems. 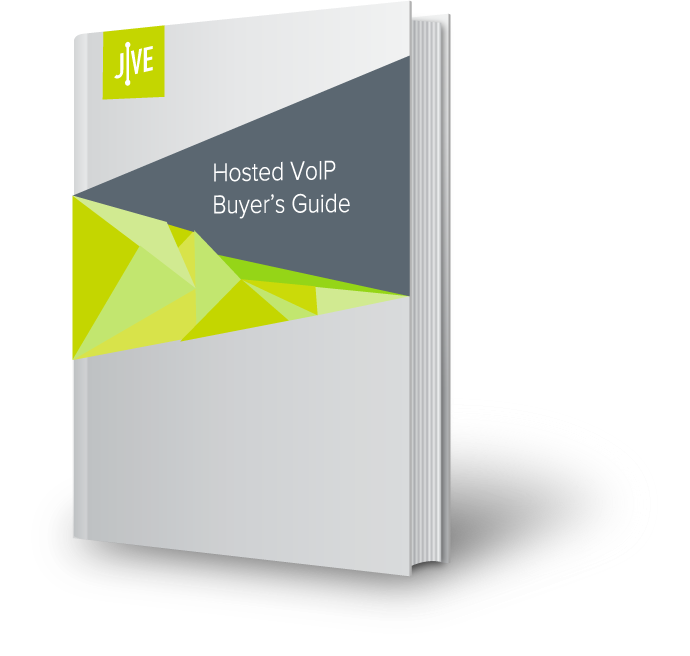 What to look for in an Enterprise VoIP System? Enterprise VoIP systems offer email, voice, video, and data services in one streamlined, easy-to-use service. You’ll want a system that integrates communication channels like email, voicemail, chat, fax, video conferencing, etc. Another factor to watch for is integrations with customer relationship management (CRM) software and other business tools. Why VoIP is Right for Your Business? Enterprise VoIP can be instrumental to your company’s long-term vision and success. It prioritizes scalability, allowing you to easily add or subtract seats as your business grows or scales back. VoIP’s focus on mobility also makes it easy to stay in touch with global offices and remote employees. As the demand for affordable communications rises, enterprise VoIP systems support the needs of modern businesses by offering low-cost and customizable solutions for all needs. What is Enterprise Cloud PBX? Enterprise cloud PBX is a phone system that is managed, stored, and maintained completely in the cloud rather than with on-site hardware. On-site equipment can quickly become outdated, resulting in high out-of-pocket costs to update to a new system. A cloud enterprise system is stored off-site by the provider. New features are added to the service via real-time updates. Users with administrative permissions can control the system remotely from anywhere at any time. A regular user can do the same, updating the settings on his or her account remotely. Plus, remote technical support means your provider can handle every aspect of your system, saving time and money by eliminating on-site maintenance and configuration.